Cisco® Validated Designs provide the foundation for systems design based on common use cases or current engineering system priorities. They incorporate a broad set of technologies, features, and applications to address customer needs. 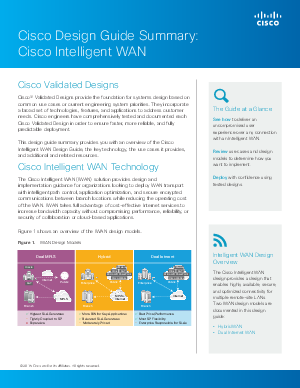 Cisco engineers have comprehensively tested and documented each Cisco Validated Design in order to ensure faster, more reliable, and fully predictable deployment.